Sign up and receive Property Email Alerts of Guesthouses for sale in Bloubergstrand, Blouberg. Discover A New World! Live On The Beach! 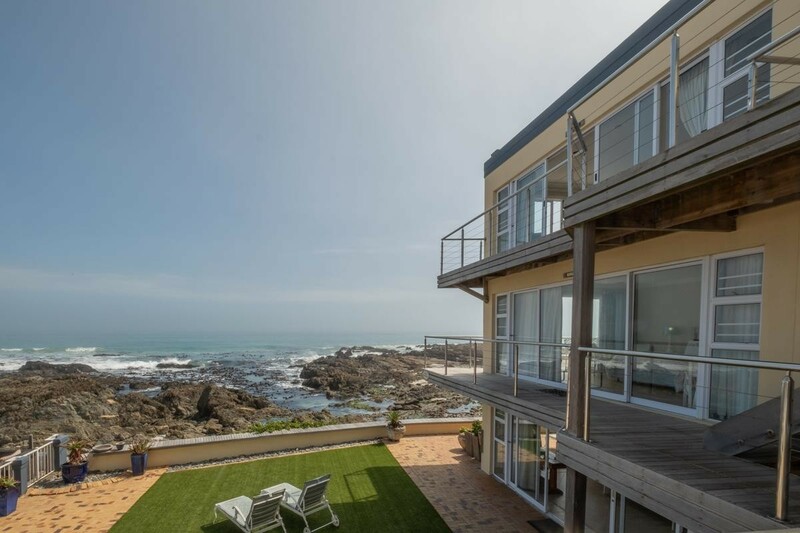 Imagine crashing waves, tranquil rock pools, forever views of Table Mountain, Waterfront and Cape Town Stadium. Imagine a village therein - friendly happy people, walking their dogs, jogging or strolling along with contentment and the exhilaration of being! Yes, this could be yours, a three level home with all the attributes for your extended family and more. A GB 1 Zoning, thus Business and Commercial! Have an idea to Sectional Title the building? Plans submitted. All done! Want to run a Guesthouse? It has been a Self-Catering operation for 15 years! Another Seashore Restaurant, of course, possibilities endless! Now for the description of this rare jewel: There are 6 Units in total. Manager/ Caretaker Unit. Seaside Ground Floor: Magical Unit comprising 2 bedrooms en-suite, lounge dining kitchen open plan and seaside patio on the rocks with BBQ facilities and full service from adjacent restaurant. Heavenly! Then Unit 2 Low Tide Honeymoon suite, Bed and Bath overlooking rolling waves. Unit 3 to 6 has all the same qualities named Mid Tide and High tide. Penthouse with wraparound patio, Jacuzzi. What more could anyone wish for! To experience this one in a lifetime opportunity contact me and I will be there to show you around. Sign-up and receive Property Email Alerts of Guesthouses for sale in Bloubergstrand, Blouberg.